It represents a lifetime achievement, and contains numerous exciting and interesting vehicles, all entirely new to the market. The collection of low mileage, delivery mileage, and one-owner vehicles – will all be sold at No Reserve. The collection will premier at COYS Techno Classica auction this Saturday, 13th April, with an initial offering of 24 fine European sports and touring cars. Managing Director Chris Routledge said: “ Once again we have shown that we can find great car collections and bring them to the International market and this is no exception as buyers will find as we sell the collection at our auctions this spring in this our 100thanniversary year. 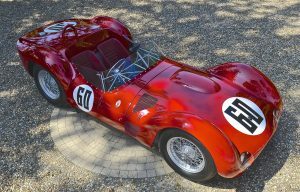 The legendary 1959 Maserati Tipo 60/61 ‘Birdcage’ which was prepared for racing by Alfred Momo is to be sold by international car auctioneers Coys at theirScholoss Dyck auction in Germany on the 4th of August. This historic Maserati is a light and powerful sports racer produced in 1959-1960 that exhibits superb aerodynamics. It acquired its nickname ‘Birdcage’ because of the exceptional design engineered by Giulio Alfieri. It has an intricate tubular frame and chassis made up of approximately 200 small diameters, chrome-molybdenum steel tubes of varying lengths and thicknesses welded together with a unique Italian process. In 2010 the car was submitted to the MSA, and gained its Historic Technical Passport/FIA class: TSRC4 documents, allowing it to be raced in many different venues throughout the world which could even include Classic Le Mans, Goodwood Revival, and Motor Racing Legends Stirling Moss Trophy at various circuits globally. Another one of Giulio Alffieri’s epic design on sale is a 1963 Maserati 3500 GTiSuperleggera by Touring. The car is finished in arguably the best colour combination for a 3500 – gunmetal grey over red this wonderful example of the marque is also reported to be in excellent mechanical order. Its estimate is€178,875. 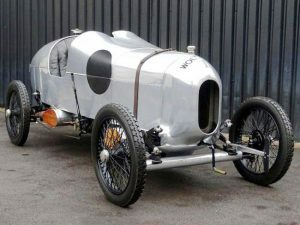 The 1921 Wolseley 200-Mile Record Car Evocation was built by one of Britain’s biggest motorcar manufacturer at the outbreak of World War One, Wolseley. This car was acquired by Stephen Battye for his impressive Yorkshire Car Museum during 2003, it was carefully stripped and reassembled after a period of dry storage. 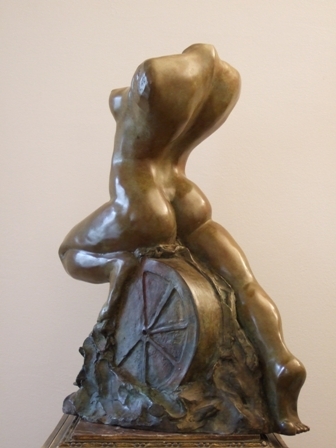 It is now on sale and estimates €35,000- €42,000. 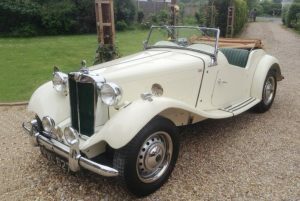 Also going under the hammer is one of only 576 made in the Magna line; a 1933 MG L-Type Magna Tourer. It was first registered in Germany in 1986. This Magna had only three previous owners in Germany; in 1999 the engine was overhauled for 7,700 DM. This fantastic MG Magna subsequently went on to win the historic Klausen mountain race. It estimates €60,000- €80,000. 1977 Maserati Bora 4.9 – An excellent restored and desirable 4.9 specification car, mechanically rebuilt, just serviced and in excellent all-round condition. Estimate: €140,000- €180,000. 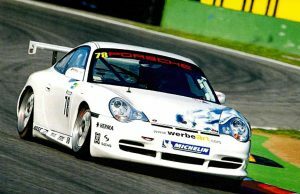 2003 Porsche 996 GT3 CUP – This GT3 was produced and delivered as a proper GT3 CUP car and campaigned in 23 races in Europe, as shown in its DMSB –Wagenpass. The engine was rebuilt 500 kms ago as was the gearbox. Its total mileage is less than 14,000 kms. Estimate: €60,000- €70,000. The auction which has developed as part of one of the Southern Hemisphere’s great new historic motor car weekendsConcours South Africa. 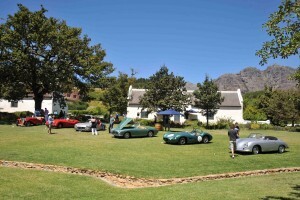 This event, now in its 3rd year and growing exponentially, attracts more than 100 cars from all over Southern Africa. The Concourse and auction are being supported by a number of sponsors as well as COYS and Rory Byrne, the much vaunted designer for Ferrari of the Michael Schumacher World Championship winning cars, will be joining the guests at theheadline event which underlines the huge motor sporting heritage which is contained within South Africa. 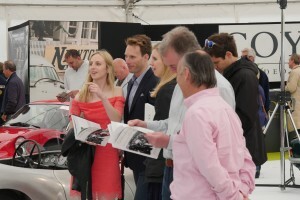 Over the celebrated Goodwood Festival of Speed weekend of 12th – 15th July this year international auction market leaders COYS will once again stage their “FOS” Sale. 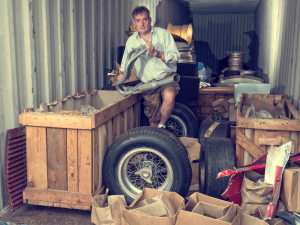 A regular feature of events surrounding Goodwood, the Coys auction atFontwell House follows hot on the heels of their sale at Blenheim Palace which included the celebrated Cavallino Hoard, which was, in turn, was a globally acclaimed success. A 1997 Lamborghini Diablo Coupe was offered from a private collection and has been recently serviced by marquee specialists and is ready for a new custodian. The Diablo has more power and a lower drag coefficient than the Countach, it easily eclipsed its forebear, exceeding 200mph on test. More importantly, its acceleration and top speed figures were marginally better than those of the Ferrari F40. The Diablo though, was not a limited-edition model like the latter but a series production car with a luxuriously appointed interior reflecting its designers’ intention to produce a civilised GranTurismo as suited to city streets and motorways as the racetrack. The estimate is £100,000 – £130,000. 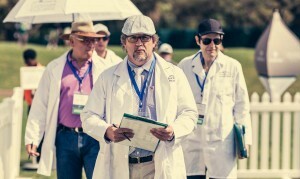 Friday 29th and Saturday 30th June sees international collector car auctions specialists Coys return to Blenheim Palace for the 2018 edition of their world renowned auction, combining this year not only the traditional “Jaguar Legend, which has become a must-attend event in the international historic motoring calendar, but also staging the much debated “CavalinoHoard” sale. With a packed car sale on Saturday sure to attract much interest, focus has already turned to Friday’s Auction – a unique collection of Ferrari, Maserati and Abarth parts which have been hidden from view for many decades and are all being sold at No Reserve. 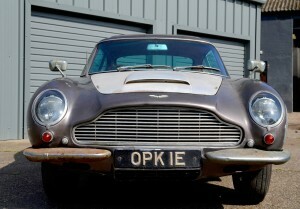 This is the first instalment of the Coys auction disposal of this fascinating and unique collection. Cars of note in Saturday’s sale include a 1988 Porsche 959 comfort. It is long viewed as the ultimate road car development of the 911 model, this 959 is a German market example. The car is finished in Metallic Silver with a dark grey leather interior. It is a stunning example of the most advanced super car of the 1980s and estimates £750,000. 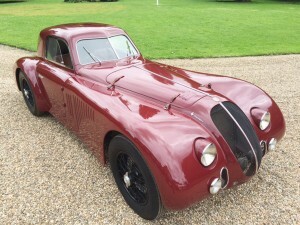 Almost hiding within the plethora of sumptuous Jaguar factory models is the Mk VII Special “Wee Beastie” which was previously owned by the star, Mr. Jools Holland. 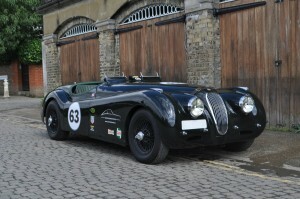 This particular special combines 1930s looks with the 1950s thrill of an XK engine and manual gearbox. Its classic 1930s looks combined with a proven Jaguar engine and drivetrain, this is in many ways the ideal fun summer classic. The car estimates at £40,000- £45,000. He added: “It’s an Aladdin’s cave which is going to excite people all over the world. There are wire wheels in their original wooden boxes, carburetors in their original oiled wrapping paper, exhaust pipes, radiator grills, dashboards; the list just goes on and on. It will take us several days to catalogue the parts and once we have done that we will issue a full list of the spares. 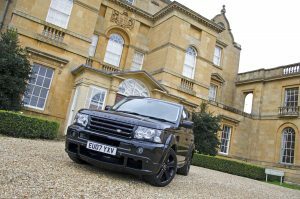 International auctioneers Coys have set new world records for two Range Rovers, originally commissioned for King Juan Carlos of Spain, at their Essen Techno Classica sale in Germany on Saturday 24th March. 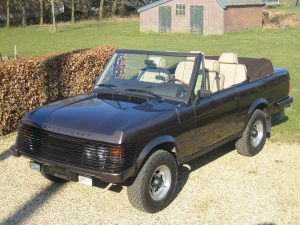 The 1977 Range Rover by Alcom Devices sold for €78,750 and the 1973 Range Rover Cabriolet went for €78,750 as well, proving the trend that early Range Rovers are becoming increasingly popular. A 1972 Lamborghini Jamara Series I also set a European record by selling under the hammer for €182,250. Amongst the highlights of the sale was a 1928 Bugatti T 44 Fiacre By Gangloff, which sold well over its estimate for €618,750. This car is a very rare survivor of only a handful remaining models, which was once owned by the well-known collector and author of many Bugatti books, Mr Uwe Hucke, in the mid 1960`s. He kept Chassis No. 441141 until 1977 when he sold it to Mr. Helmut Schellenberg, the famous 1930’s Bugatti racing driver. Other top results include a 1971 Ferrari Dino 246 GT sold for €292,500, a 1934 Alfa Romeo 6C for €142,875, a 1989 Porsche 911 Speedster for €146,000 and a 1957 AC Ace Bristol Competition Roadster for €264,375. 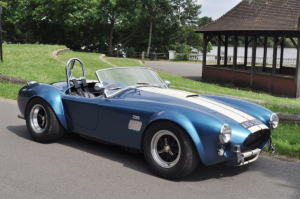 International auctioneers Coys are holding two auctions for two and four wheel collectors on Saturday 17th February at London’s ExCeL, where the city celebrates all forms of motoring and motorsport. Now in its second year running, Coys auction at Historic Motorsport International will feature a number of historic competition and sports cars, including a 2005 Corvette by Riggins Engineering. 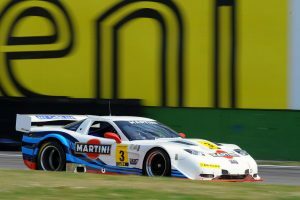 The car was campaigned in many international championships, including the Pironi Championship and the V de V Championship, where it had many competitive seasons as well as a podium finishes. It is fitted with a 7 litre injected Chevrolet V-8 engine, a Ford 9′ quick change rear end and 5-speed gearbox, making it one of the most competitive examples available and a GT lap record holder at Paul Ricard with Nigel Greensall at the wheel. It is estimated at £80,000 to £100,000. Also on offer is a special 1984 Ferrari 512 BBi, one of the most capable and exciting cars of the era. This model is the last right hand drive to be registered on UK roads and was delivered on 1st August 1984. It is estimated at £225,000 to £295,000. Other important classic and sports cars on offer include a 1987 BMW E30 M3 (£40,000 – £45,000), a 1988 Lamborghini Countach 5000 QV (£250,000 – £350,000), an original right hand drive 1962 Jaguar E-type Series 1 3.8 Fixed Head Coupe with aluminium dashboard (£70,000 – £90,000), one of three 1959 MG Milano (£30,000 – £40,000) and a 2009 Holden Lumina (£25,000 – £30,000). On the two-wheeled front, Coys’ auction is recognised as the only quality classic motorcycle sale to be held in the Capital and takes place also on Saturday 17th at the MCN Carole Nash London International Motorcycle Show. The sale features a selection of stunning, rare and unique motorcycles, including a 2009 Triumph Bonneville Bud Ekins Desert Scrambler Special, formerly the property of Brad Pitt. 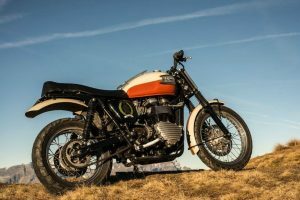 This Triumph was commissioned as a special edition model and one of only 3 made to celebrate the life of Bud Ekins, the stunt double and best friend of Steve McQueen, who passed away in 2008. It was built by Brad Holstein on behalf of Triumph and given to Brad Pitt as a gift reportedly from the Ocean’s Eleven producer Jerry Weintraub with the petrol cap engraved with his birthday message. In good all-round condition, the bike retains its registration plates and is estimated at £20,000 – £30,000. Other motorcycles on offer include the 26th out of the 50 produced 2016 Norton Domiracer (£35,000 -£45,000), an original UK delivered 1996 Honda RVF750R/RC45 (£25,000 – £30,000), a 1938 Ariel Square Four (£12,000 – £17,000), a 1976 Laverda 3C (£13,000 – £16,000) and a 1930 Rudge Ulster to Grand Prix Specification (£12,000 – £16,000). Over 55 classic and sports cars are going under the hammer at Coys inaugural auction at MOTORWORLD Classics in Berlin on October 7th.The annually held exhibition attracts an exciting mix of classic cars, young-timers, connoisseur-cars, motorbikes and curiosities to the historical surroundings of the Berlin ExpoCenter and has been growing year on year with more than 26,000 trade and public visitors in 2016. 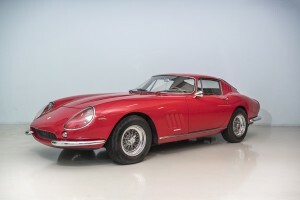 The auction offers a broad selection of classic, sports and collectors’ motor cars, including a matching numbers 1967 Ferrari 330 GTC (estimated at €420,000 – €480,000), a 1953 Mercedes-Benz 220 B Cabriolet (€110,000 – €125,000), a 1989 Porsche 930 Turbo Cabriolet (refer department), a 1964 ISO Rivolta IR300 (€60,000 – €70,000) and one of the only ten 2016 Jaguar F-Type Project 7 delivered to Belgium (€180,000 – €210,000). German marques feature heavily and include a matching numbers and recently restored 1964 Porsche 356C Coupe (€70,000 – €90,000), a 1997 Porsche 993 Carrera 4S with rare factory X51 3.8L engine upgrade (refer department), a 2011 Porsche 997 GT3 RS (€150,000 – €170,000), a 1989 BMW M635 CSI (€40,000 – €50,000), a 1958 Mercedes-Benz 190 SL (€90,000 – €100,000) and a 1963 Volkswagen T1 bus (€40,000 – €45,000). Other important cars on offer include a 1972 Maserati Indy 4.7 (€65,000 – €80,000), a 2006 Ferrari 575 M – F1 Superamerica with one owner from new and rare GTC handling pack (€300,000 – €350,000), a matching numbers 1980 Ferrari 512 BB in the desirable carburettor version (€250,000-€300,000), a 1963 Jaguar E-Type Series 1 3.8 fixed head coupe, which was the subject of a €100,000 restoration (€130,000-€160,000). A 1958 Austin A35 driven by F1 legend David Couthard and a 2008 Mercedes-Benz CL65 AMG driven by F1 double world champion Mika Hakkinen will be put under the hammer by international auctioneers Coys at their ‘Thoroughbred & Vintage’ auction at Fonwell House on September 7th, just a few miles up the road from the action at the internationally famous Goodwood Revival meeting. The history of the Austin A35 is unique and special, being the first A35 driven by David Coulthard in the St. Marys Trophy at the Goodwood Revival 2016. It was also driven at the Silverstone Classic Celebrity Challenge this year by world champion boxer Carl Froch. Aside from its celebrity drivers, the car has featured regularly on the HRDC podium in both single and two-driver races over the last two years. 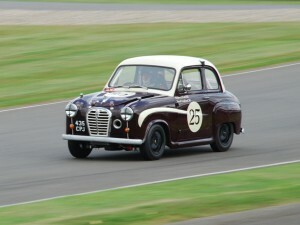 The A35 was built for the current vendor by specialist Mike Curtis in 2016 for entry into the HRDC Academy racing series using a 1958 donor vehicle. It was built to HRDC Academy regulations and has all the correct optional additions that make it highly competitive and easy to drive. It is estimated at £30,000 to £40,000 and even comes with the historic race suit worn and signed by David Coulthard. The 2008 Mercedes-Benz CL65 AMG was driven by Formula One champion Mika Hakkinen after he retired from competitive motorsport in 2007. The car was first registered in April of 2008 by Mercedes–Benz Greenoaks and was fitted with every optional extra imaginable. 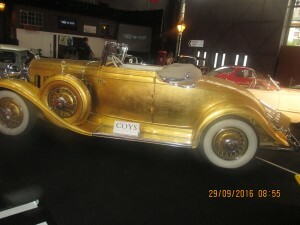 It has been signed by Mika himself and is estimated at £36,000 to £42,000. The high-octane auction also features a number of sports and racing legends, including “Piggy”, the famous 1950 XK120 aluminium alloy competition roadster (£200,000 to £250,000), a thunderous 1989 Sauber Mercedes C9 Group C racing car (refer department), a 1963 Lotus 23B eligible for the Masters Historic Race Series (£50,000 – £60,000) and a 1973 Trojan T101 F5000 (90,000 – £110,000). The very rare, early XK120 competition roadster is one of only 184 left-hand-drive aluminium alloy-bodied roadsters and was delivered new to Charles Hornburg in Los Angeles, USA. 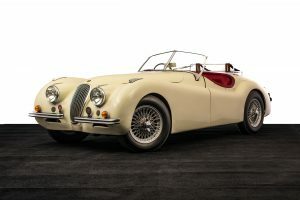 He was the first importer of Jaguar automobiles to the United States and a competition specialist responsible for the sale of some of the very important racing Jaguars in the 1950s, including lightweight XK120s, C-Types and D-Types. International auctioneers Coys return to Fontwell House during Britain’s greatest classic motoring week with a high-octane auction of classic, sports and racing legends on September 7th.Located in the heart of the Sussex Downs, just a few miles up the road from the action at the world-class Goodwood Revival meeting, the ‘Thoroughbred & Vintage’ auction already features some impressive entries, including “Piggy”, the famous 1950 XK120 Alloy Competition Roadster, a thunderous 1989 Sauber Mercedes C9 Group C racing car and a matching numbers 1960 Mercedes-Benz 300SL Roadster. The very rare, early XK120 Alloy Competition Roadster is one of only 184 left-hand- drive alloy-bodied roadsters and was delivered new to Charles Hornburg in Los Angeles, USA. He was the first importer of Jaguar automobiles to the United States and a competition specialist responsible for the sale of some of the very important racing Jaguars in the 1950s, including lightweight XK120s, C-Types and D-Types. The car was raced in America for a number of years until it returned to the UK in 1972/3 where it continued a successful racing life under the reigns of John Harper. It became known as ‘Piggy’ from its UK number plate. Piggy is eligible for the world’s most exciting classic racing events such as Silverstone, Le Mans, Goodwood and Nurburgring, amongst others, and is estimated at £200,000 to £250,000. From the Sauber Mercedes Museum collection, the sale also features a 1989 Sauber-Mercedes C9 Group C. These high performance racers were developed by Sauber as a constructor and Mercedes-Benz as an engine builder for the World Sportscar Championship, replacing the previous Sauber C8. With its M117 C9 engine, a modern electronic system and FIA papers, it is ready for competitive motorsport. The 1960 Mercedes 300 SL Roadster is appropriately finished in DB180 silver with red leather interior, one of the most popular colour combinations, and comes with a very detailed and complete history file. 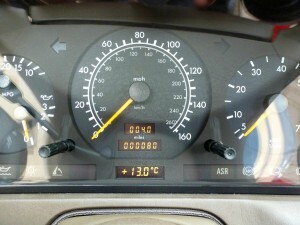 The clock shows only 71.000km, partly due to it being parked in a garage for nearly 30 years between 1973 and 2001. Mercedes Classic Center carried out a mechanic restoration in 2001/2, and since then it has been reliably driven and enjoyed. International auctioneers Coys will hold an inaugural classic car and memorabilia auction for charity at the Concours South Africa 2017 on August 5th. South Africa’s only multi-marque concours, held for the first time in 2016, runs over four days starting on August 3rd at the luxury resort Sun City, only 187 km from Johannesburg, and brings together the finest classic, luxury and sports vehicles from around the country. The auction will help raise funds for those with disabilities and specifically the QuadPara Association of South Africa (QASA), a non-profit organisation that represents Quadriplegics and Paraplegics in the country. 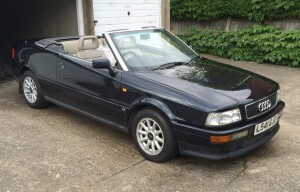 A 1994 Audi Cabriolet driven by Diana, Princes of Wales is going under the hammer at Coys auction at Blenheim Palace this Saturday, 15th July. The Audi is tipped to make between £35,000 and £40,000, having been driven by one of the most influential female figures of this century. It was loaned to her for her personal use by Dovercourt Audi of St Johns Wood and comes up for sale just a few days after another Audi, also used by her, went under the hammer. The car remains registered as L541 GJD and has been out of the public eye in storage for many years. The current vendor purchased it in 2004 and used it as an everyday family car until 2009 then placed it in storage, once the full importance of the vehicle became apparent. The car has been captured in numerous press images showing the Princess stepping in and out of the Audi with the number plate clearly visible. The auction is set against the backdrop of the historic Blenheim Palace, birthplace of Winston Churchill and World Heritage site, and offers a fantastic selection of classic and sports cars, including a 1926 Bugatti Type 37 with only two owners since 1940 and period competition history at Brooklands and Shelsley Walsh. The car, estimated £400,000 to £600,000, is one of three Type 37s supplied in 1926 to Bugatti agent and world speed record holder Malcolm Campbell. He sold the Bugatti to W. B. Scott (Bummer to his friends), who raced it at Brooklands. The car changed hands a few times over the coming years before being purchased by R. MacLeod-Carey in 1934, who invested in several modifications to improve performance. In 1940, he sold the car to Mr. Dudley Gahagan, who owned it for a somewhat incredible 57 years before bequeathing the car to the current vendor in 1997. Gahagan was well established in the classic car world, being involved in the early days of the Vintage Sports-Car Club and running the classic restoration business Rees Brothers of Aldershot in Hampshire for many years. He campaigned his beloved Type 37 at numerous hill climbs, time and speed trials, including the Prescott Hill Climb, Goodwood, Brighton Speed Trials, and the then newly created Silverstone track on over 20 occasions from 1949 through to 1992. The Type 37 enjoyed a well-earned comprehensive restoration from 2002 to 2008, and since has been used sparingly. 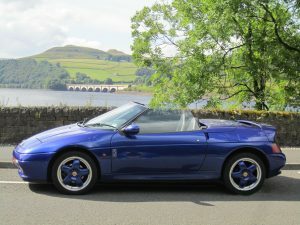 It is also still offered with its original chassis, gearbox, and both front and rear axles. The sale will also feature a 1950 Austin A90 Atlantic Convertible, formerly owned by King Farouk of Egypt (£32,000 – £42,000), a 1956 Austin Healey BN2 ‘100M Spec’ featured In “The Car’s The Star” documentary (£65,000 – £80,000), a 1938 Bentley 4¼ Litre MR Overdrive (H.J. Mulliner ‘High Vision’ Saloon with Unique Perspex Roof) premiered at the 1938 Earl’s Court Motor Show (£90,000 – £110,000) and a 1966 Ferrari 330 GT 2+2 (£180,000 – £200,000). 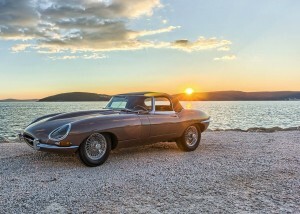 A selection of fine classic Jaguars will also be offered as part of the Jaguar Legend collection, a well-established yearly feature of Coys Blenheim Palace auction, including a 1962 Jaguar E-Type Roadster with one family from new (£160,000 – £200,000), an original right hand drive 1968 Jaguar E-Type Series 1 Roadster 4.2 (£90,000 – £110,000) and a 1951 Jaguar XK120 Roadster (£100,000 – £120,000), amongst others. Other important collectors’ cars on offer include a 1962 Bentley S2 Continental Drophead Coupe by Park Ward (£190,000 – £230,000), a 1960 Mercedes-Benz 190SL Roadster (£65,000 – £85,000), a 1922 Rolls Royce Silver Ghost Tourer (£200,000 – £240,000), a rare right hand drive 1989 Porsche 911 Speedster (£120,000 – £140,000), a 1965 Alfa Romeo Guilia GTC (£85,000 – £95,000) and a 1935 Fiat Balilla 508 Van (£25,000 – £30,000). 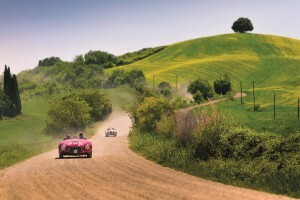 In addition, Coys will host their traditional and prestigious summer Concours d’Elegance curated by Chief Judge and historic motor racing authority Julius Thurgood with a broad selection of some of the finest and most important classic motor cars in Britain, which are available to view and admire. 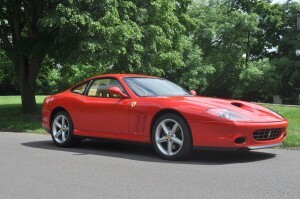 More than 55 classic and sports cars, including a pre-production Ferrari 575MM, will be going under the hammer at Coys auction in the elegant gardens of Fontwell House, just a few miles away from the action at the Goodwood Festival of Speed, on Thursday 29th June. 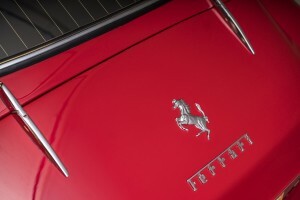 The 575MM is likely to be the earliest of the ‘pre-production’ cars made by Ferrari with chassis number 123761. Despite being built in June of 2002, the factory kept it in storage after using it for marketing and promotional purposes before finally registering it in 2006. 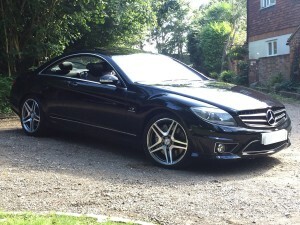 It was then sold as a ‘new’ car in 2008 to a VIP client direct from the factory. With less than 13,000km on the odometer, full history file and original manuals, this Ferrari is estimated at £150,000 to £200,000. The auction features a selection of Ferraris including a 1971 Ferrari 365 GTB/4 Daytona (£560,000-£650,000), a 2004 Ferrari 360 Challenge Stradale (£160,000 – £180,000), a 1998 Ferrari F355 (£60,000 – £70,000) and a 2003 Ferrari 575M ‘Fiorano Edition’ (£135,000 – £145,000), amongst others. 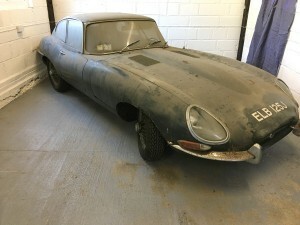 On the barn-find front, Coys has unearthed a 1965 Jaguar E-Type 4.2 Coupe, which was purchased new by Moustafa Ammar, an Egyptian Diplomat. He purchased the car new in Geneva when he was posted from London to the Egyptian Embassy in Switzerland and used it comprehensively, driving around Europe and even taking the long journey back to Egypt on occasion (petrol receipts found in the car confirm this). When Moustafa returned to the Egyptian Embassy in London in 1971, he brought the car back with him and it was given the registration ELB 125J. He used the car regularly until 1989 and was then put into a dry garage, where it remained dormant for some 28 years. The E-Type is offered with a comprehensive history file, including the original bill of sale and warranty, and is estimated at £60,000 to £80,000. 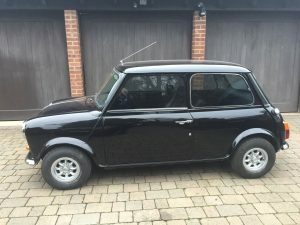 Other important classic and sports cars on offer include a 1970 Austin Mini Cooper S ex-Liverpool Police car (£30,000 – £40,000), a 2004 McLaren Mercedes Benz SLR (£200,000 – £250,000), a 1954 Sunbeam Alpine Special official works demonstrator and journalist car (£38,000 – £50,000), a 2016 Jaguar F-Type Project 7 with only 103 miles from new (£180,000 – £200,000) and a 2011 Porsche GT3 RS 4.0 (£250,000 – £300,000). 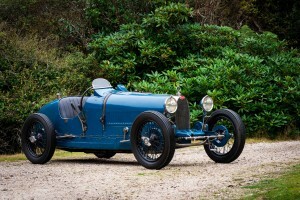 Coys next auction after Fontwell will be Blenheim Palace on July 15th , featuring a 1926 Bugatti Type 37 worth £600,000. More details and catalogue to be announced soon. 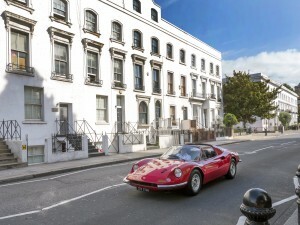 The first prototype Ferrari 275 GTB/4, estimated at £2,000,000 to £2,500,000, will go under the hammer at Coys’ London auction at the Royal Horticultural Halls in Westminster on May 18th. The Ferrari 275 GTB/4 4-cam will be joined by a 1961 Ferrari 250 GT Cabriolet with coachwork by Pininfarina (estimated at £1,000,000 – £1,500,000), a 1967 Ferrari 330 GTC (£480,000 – 525,000) and a 1963 Maserati 3500 GT (£150,000 – 175,000). Alongside these Italian touring greats, there is also a broad selection of interesting and eclectic vehicles, ranging from a 1989 BMW Z1 (£32,000-37,000), which are hugely popular in the marketplace today, to an iconic 1981 DeLorean DMC-12 (£30,000-40,000), the eccentric gullwing-door creation of namesake John DeLorean so affectionately associated with Hollywood films, with around 9,000 miles from new. 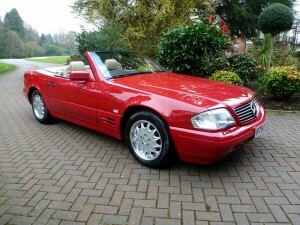 London, 12 April 2017 – A 1996 Mercedes-Benz SL500 whose owner drove only 80 miles before losing the keys and never using it again has just been sold at auction by international auctioneers Coys for the record price of £56,640 (including premium). Purchased from Normand of Mayfair as a birthday present for its sole lady owner, it was driven just 80 miles before being stored in an underground garage in Knightsbridge. The owner lost the keys and never drove it again. Twenty-one years later it was found and sold by Coys at their Spring Classics auction at the Royal Horticultural Halls in London. The Mercedes-Benz SL500 R129 roadsters were produced from 1989 through 2002, featuring many innovative details for the time, such as electronically controlled damping and a hidden, automatically extending roll-over bar, electric windows and mirrors. This is one of the more powerful and sought after M119 engined cars and also boasts a number of optional factory extras, including heated front seats, 6 CD multi-changer, upgraded radio and wood-leather steering wheel. The car has just recently been subject of a light re-commission and is supplied with books, manuals and an MOT certificate until March 2018. The auction, now being held in the larger of the Royal Horticultural Halls, features a selection of Jaguars and Aston Martins, including a 1967 Aston Martin DB6 delivered new to the Director of the “Doctor” film Series Ralph Thomas (£160,000- £200,000), a 1973 Aston Martin V8 with 66,000 miles from new (£75,000 – £90,000) and a 1972 Aston Martin DBS (£90,000 – £110,000). The Jaguar selection include a 1961 Jaguar E-Type Series 1 3.8 Flat Floor Roadster subject of a 2,600hs restoration (£190,000 – £225,000), an original right hand drive 1973 Jaguar E-type V12 Roadster with only 2,500 miles from new (£170,000 – £225,000) and a matching numbers 1954 Jaguar XK120 Drophead Coupe SE (£90,000 – £110,000). Other cars on offer include a 1923 Rolls-Royce 20HP by Smith & Waddington (£45,000 – £55,000), one of only 241 produced 1991 Lamborghini LM02 (£140,000 – £180,000), a 1989 AC Cobra MK IV with only 7,500 miles from new (£120,000 – £150,000), 1993 Porsche 964 Turbo 3.6 (£130,000 – £160,000) and a 1981 Ferrari 308 GTSi with coachwork by Scaglietti, design by Pininfarina and complete Ferrari service history (£60,000 – £70,000). 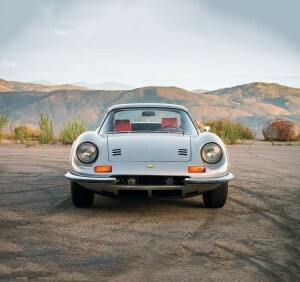 International auctioneers Coys return to Techno Classica Essen with multi-million classic and sports car auction on April 8th in the Gruga Halle at the Messe Essen, Germany. The 120-car auction features a 1955 Mercedes-Benz 300 SL Gullwing, one of the first 200 produced and estimated between €950,000 and €1,100,000, a 1987 Porsche 959 Speedster with only 8,000km from new (€1,200,000 – €1,500,000), a 1968 Ferrari 330 GTC (€550,000 – €600,000), a 1938 BMW 328 Roadster (€700,000 – €800,000) and a 1988 Porsche 959 Komfort (€850,000 – €950,000). The early 300 SL Gullwing was a special order for Max Hoffman, the legendary US dealer and importer, and was the subject of a comprehensive restoration that began in 2013 that brought the car to the special order scheme. 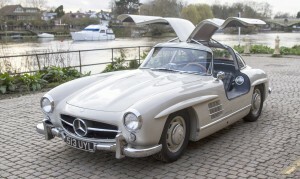 It is one the finest examples that Coys have seen in 30 years of trading the most iconic of post-war sports cars. 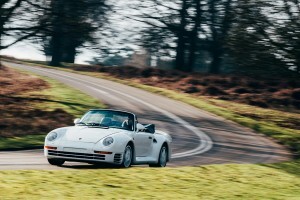 The 959 on offer was supplied new to the World Sports Car Champion and Porsche Works driver Jurgen Lassig in 1987. It was subsequently sold by Auto Becker at the IAA Frankfurt Motor Show for the staggering sum of u$s 3 million to an American collector. The car has covered just over 8,000km from new and offers the best of both worlds as it can be driven in full speedster form or for more practical open top motoring an electric convertible top can be utilised. 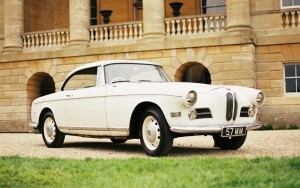 The BMW 328 is something for the true enthusiast. The car was delivered new to the German racing driver Walter Schlüter in racing configuration with a long-range fuel tank, and after some initial competition use Schlüter laid it up during the war. It changed hands various times, including an English Officer serving in post-war Germany, until purchased by the current vendor almost half a century ago. 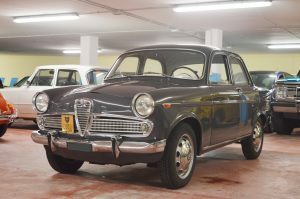 The car has been constantly serviced and repaired when necessary and, though never restored, it retains a wonderful patina and is mechanically in excellent condition. 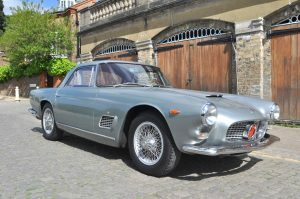 The auction also features a 1963 Maserati 3500 GTi Superleggera (€200,000 – €250,000), a 1967 Jaguar D-Type Evocation with German historic road papers (€25,000 – €35,000), a 1968 Maserati Ghibli Spyder (€280,000 – €320,000), a 1969 Ford 429 Mustang (€200,000 – €230,000) and a 1963 Citroen DS Cabriolet by Chapron (€170,000 – €190,000). Other important collectors’ cars on offer include a 1941 BMW 327 Coupe (€150,000 – €170,000), a 1978 Chevrolet Corvette C3, a real “timewarp” example with only 23 miles from new (no reserve), a 1990 Mercedes Benz 190 E 2.5-16 Evolution II (€190,000 – €220,000), a 2004 Mclaren Mercedes Benz SLR (€300,000 – €350,000) and a 1983 Ferrari BB 512i (€240,000 – €280,000). International auctioneers Coys return to their birthplace with an auction of 70 fine historic automobiles at The Olympia Historic Automobile Fair & Auction, a new ultra-luxury and lifestyle event in the elegant Olympia London, on 18th February 2017. The auction features some of the most beautiful Ferraris ever produced, including a 1968 Ferrari 330GTC Berlinetta (estimated at £450,000 – £500,000), a 1972 Ferrari Dino 246 GT with only 35,000 miles on the clock (£280,000 – £300,000), a 1978 Ferrari 308 GTB once owned by the founding editor of Car magazine Doug Blain (£65,000 – £75,000) and a 1964 Ferrari 330 GT 2+2 Series 1 (£200,000 – £240,000). A 1936 Lagonda LG45 ‘Razor Edge’ Saloon by Freestone & Webb with a fascinating history is returning to Olympia 81 years after its debut at the Olympia Motor Show in 1936. The car was ordered in 1936 by London agents Kevill Davies & March of Berkeley Square and delivered to Freestone & Webb on 2nd September. Freestone & Webb then fitted it with the then popular Razor Edge body and featured it at their stand at the Olympia Motor Show in October that year. The car had an interesting life from then on; it was purchased by a private owner and shipped to New York in 1937, then sold and shipped shortly after the Second World War to Mr. Sia, a Shanghai based businessman. By 1949 the political seas were turning; with China rapidly becoming a communist state, as a businessman Sia was branded a capitalist and class enemy. The Lagonda was seized and placed into storage until a Mr. Eric Barret bought it via the Hafong Motor Company for 25,350 Yen. Mr. Barret travelled extensively from the early 1950s, living in Hong Kong, Japan, the UK, New Zealand and Australia, before finally returned back to the UK in 1985. Each time the Lagonda faithfully followed its owner by boat, until returning home to the UK after its 40-year voyage. (For estimate refer to Coys). The auction features a 1954 Jaguar XK120 Roadster (£90,000 – £110,000), a 1955 MG TF 1500 (£22,000 – £28,000), 1937 Rolls Royce Phantom III by Park Ward formerly from the Collection of Sir James Cayzer (£115,000 – £125,000), a 1962 Bentley S2 Continental Coupe (£220,000 – £250,000), a 1951 Bentley Mark VI – Syd Lawrence “SL01” Special (£90,000 – £110,000) and one of only two surviving 1957 BMW 503 Coupe (£120,000 – £140,000). A 2013 Vauxhall Astra like no other will be auctioned to raise funds for BEN, the Automotive Industry Charity. The car was driven in the BBC Top Gear’s “Star in a Reasonably Priced Car” in the last season of the Clarkson-Hammond-May era. In this segment, presenter Jeremy Clarkson interviewed a celebrity and then showed a clip of their attempt to drive round the Top Gear track. Their times were then put onto a leader board. The Astra has covered less than 3,000 miles from new at the hands of over 20 famous actors, singers and comedians, including AC/DC’s Brian Johnson, Hugh Jackman, Margot Robbie, Will Smith, Benedict Cumberbatch and comedian Jimmy Carr, amongst others (see full leader board and lap times here). The car will be sold at No Reserve to the highest bidder. Alongside the auction, the Fair will be packed with inspiring features, providing visitors with a wealth of information and guidance on the world of historic automobiles. From concours restoration to provenance, whether you’re thinking of buying with the aim to enter the exciting world of classic racing, or interested to know how to maximise your investment, heed advice from those in the know within workshops from industry experts and specialists. In addition, guests can enjoy exquisite watch displays, discover unique travel experiences and indulge in fine food and drink within the Champagne Lounge, the Whisky Masterclass and the Exceptional Culinary Experience. International auctioneers Coys will be putting 25 historic racers under the hammer at their new high-octane auction at Historic Motorsport International show on Saturday 25th February in London’s ExCeL. The auction will feature a selection of pure breed historic racers, including 15 competition-ready race and rally cars, five road-going racing cars and five sporting road-going classics. Going under the hammer there will be a Porsche 356 with period competition history, an ex-Le Mans Ferrari and a pair of fantastic Super V8 Holdens coming all the way from Australia. Viewing will be open to all visitors on Thursday and Friday (23 and 24 February) but access to the auction itself – which is due to start at 3pm on Saturday, 25 February – will be restricted to registered attendees who have purchased the official auction catalogue, either in advance or at Historic Motorsport International. International auctioneers Coys are off to a busy start of the New Year with 100 classic and sports cars going under the hammer at two simultaneous auctions on Saturday 14th January at Autosport International in Birmingham and Interclassics in the Netherlands. Coys return to the NEC in Birmingham, UK, for their long standing and well established auction at the Autosport International show, the world’s greatest motorsport and related industry event. Over 50 cars will be auctioned, featuring a selection of grand prix, competition, touring and rally vehicles, including a 1996 Porsche 993 Cup (estimated at £120,000 to £220,000), a 1964 Marcos 1800 GT ex-Roger Ealand multi-Championship winning car (£40,000-£50,000) and an ex-works 1998 Honda Accord raced in the British Touring Car Championship by Peter Kox (£50,000-£70,000). 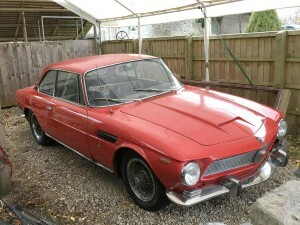 One of the hidden gems of this auction is an original unrestored matching numbers 1965 Iso Rivolta IR 340. This luxurious coupe was conceived by Renzo Rivolta, then chairman of Iso Automotoveicoli S.p.A. of Bresso, and his colleague the former Ferrari engineer Giotto Bizzarrini. 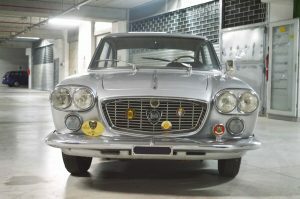 It was known for its powerful engine, high quality of construction and elegant style, fitted with a 5.4 litre V8 engine. The car runs and drives but is in need of a restoration to bring it back to its former glory. It is estimated at £26,000 to £35,000. Other important lots include a 1974 Ferrari 246 GT Dino (£250,000-£280,000), a 1948 Bentley Mk VI in the style of 4 ½ Litre Tourer (£110,000-£140,000), a 1971 Range Rover Suffix A (£18,000-£22,000) and a 1960 Facel Vega HK500 (£90,000-£130,000) and a Mille Miglia eligible 1953 Lancia Aurelia B22 Saloon ex-Giovani Bracco (£10,000-£15,000). On the same day as Autosport International, the international auction house will be putting 50 cars under the hammer at Interclassics in the charming medieval town of Maastricht in the Netherlands. The city is famous for hosting the world’s most renowned fine art and antiques fair. Interclassics is rapidly becoming one of the most highly regarded boutique classic car shows in Europe, along with Auto Moto d’Epoca in Padova and Retromobile in Paris, and is one of the main destinations for the European connoisseur. 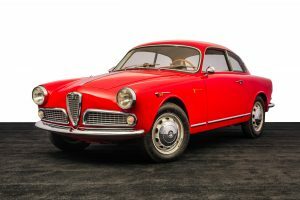 The auction features a matching numbers 1952 Lancia Aurelia B20 GT Series 2 with coachwork by Pininfarina (€140,000- €180,000), a 1965 Ferrari 330 GT 2+2 Series 1 (€200,000-€220,000), a 1953 Austin Healey BN1 project car (€25,000-€30,000), a 1963 Citroen DS Cabriolet by Chapron (€200,000-€240,000) and a 1979 Ford Capri 3.0 RS (€35,000-€40,000). Other important lots include a 1978 Porsche 911 3.0 SC ‘Rijkspolitie’ high speed pursuit vehicle (€85,000-€110,000), a 1956 Austin Healey 100M BN2 Le Mans (€180,000-€220,000), a 1972 BMW 3.0 CSi (€35,000-€40,000) and a 2000 BMW Z8 (€170,000-€190,000). Coys at Historic Motorsport International | Saturday, 25th February, ExCeL, London. 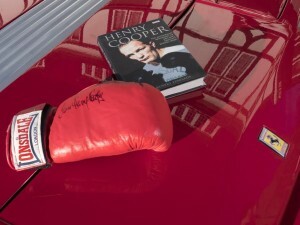 International auctioneers Coys are putting under the hammer a Ferrari owned by British boxing legend Sir Henry Cooper OBE along with over 40 classic and sports cars at their yearly True Greats auction on 5thDecember at the Royal Horticultural Society in London. The 1973 Ferrari 365 GT 2+2 was owned in the early 1980s by Henry Cooper, famous for the power of his left hook, “Enry’s ‘Ammer“, and his knockdown of a young Muhammad Ali on 18th June 1963. 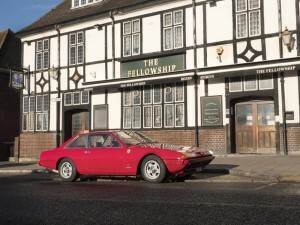 Coys took the car to the Fellowship Inn on the Bellingham estate in South London, where local boy Cooper lived and trained before the fight with Ali, and caught the attention of locals who turned out to see it, take pictures and share stories about the boxer. Enry later became friends with The Greatest, who admitted he was hit so hard that fight that “his ancestors in Africa felt it.” Following his retirement from the sport, he continued his career as a television and radio personality and to date remains the only boxer to be awarded a knighthood. The Fellowship Inn, now in semi-derelict condition, is set for a £4m restoration with funding from the Heritage Lottery Fund to bring it back to its former glory. The Councillor brought a model of a statue of Sir Henry Cooper that the Members of the London Ex-Boxers Association are planning to erect in Bellingham in 2017 in recognition not only for what he achieved in boxing but for the great contribution he made to many charities and more important as an example to young people. 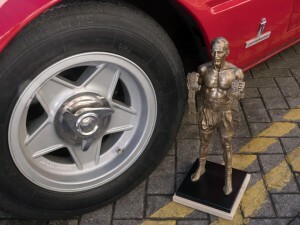 Coys will auction the model statue to raise funds for the London Ex-Boxers Association. The reserve is £1,000 – dig deep, it’s for charity! The car is one of only 55 right hand drive examples produced. Under the bonnet, Ferrari squeezed in their 4.4 litreV12 unit producing 400 bhp at 7,000rpm, making it, at the time, the world’s most potent full four-seater. 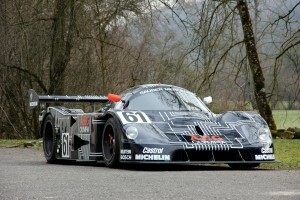 Despite its 1,450kilos, the car sprinted from 0 to 60 mph in just 5.4 seconds and was capable of a top speed of 165 mph. The V5 shows Henry Cooper as the keeper, listing his home address in Hendon, North London. It is estimated at £55,000 to £70,000. 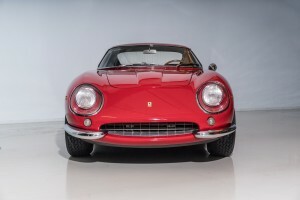 The auction also features a number of highly sought after Ferraris including a 1979 512 Berlinetta Boxer (estimated at £200,000 to £250,000), a 1968 330GTC Berlinetta (£550,000-£600,000), a 1972 365 GTB/4 Daytona Spyder (£500,000-£600,000), an original right hand drive 1974 246 GT – E series (£270,000-£300,000), a 2005 430 (£65,000-£75,000) and a 2000 Ferrari 550 Maranello ex- Maranello press car at no reserve. Also on offer is a rare 1969 Porsche 911 S/T raced by Kent Frohde in the Swedish racing series in the early 1970s. 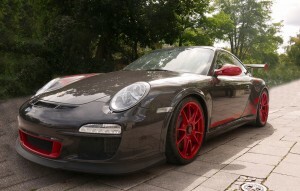 The car was manufactured as a normal S by the factory and duly sent to the Werks Porsche Competition Department who converted it into S/T Specification straight from the production line. It was sold to Frohde on 22th September 1971 and the engine – an original 2 Litre – was tuned to 242bhp. According to Frohde, this was the strongest 2 litre engine that Porsche had tuned at the time. This is one of the most sought after 911s in the world and surely worthy of a place in any Porsche museum or at any significant worldwide motoring event. It is estimated at £700,000 to £900,000. Other heavyweights being auctioned include one of only eight right hand drive 1972 Maserati Ghibli 4.9 SS Manual (£240,000-£280,000), a 1976 Alpine 1600 SC – Original Dieppe Built Model (£75,000-£90,000), a 1926 Bentley 3 litre Short Chassis Sports Tourer (£360,000-£390,000), a fully restored 1951 Land Rover Series 1 80” (£30,000-£40,000) and a 2016 Jaguar C-Type Evocation (£45,000-£55,000). Phoenix Community Housing is a not-for-profit resident-led housing association in the Bellingham, Whitefoot, Downham areas of south Lewisham, London. You are receiving this message from Julian Menendez, julian@barzilay.co.uk at Barzilay Associates. The Miura took centre stage on Saturday 29th October and became the most valuable car to sell at the auction. 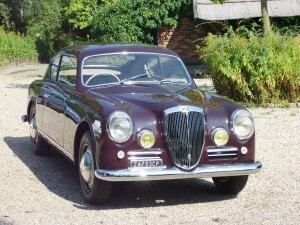 This P400S model had been the subject of a £100,000 restoration and upgrade to SV specification. A 1972 Maserati Ghibli 4.9 SS, once owned by none other than U2 drummer Adam Clayton, set a new world-record for a Ghibli sold at auction when it went for £303,000. This car was one of only eight right-hand drive examples. Another headline lot sold was the first registered Range Rover, which went for £93,000. 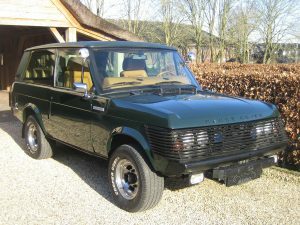 This 1970 Range Rover was the 26th model manufactured, it is believed to be the first car that Land Rover registered to themselves on 27th may 1970 and was one of the first of the batch of 20 press launch cars. 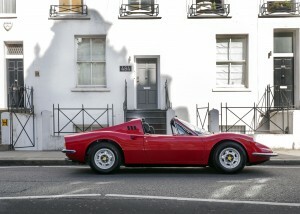 Other important lots sold included an original right hand drive 1974 Ferrari Dino 246 GT E Series, with coachwork by Scaglietti and design by Pininfarina, which went for £374,000 and a 1977 Ferrari 512 BB that featured at the 1977 London Motor Show, which went for £225,000. Chris Routledge, CEO of Coys, said: “In combination with the very high quality features, displays and the amazing live parades on Friday, Saturday and Sunday, including original Grand Prix cars on the streets of London, the Coys auction was a very powerful addition to what was a dramatically improved Classic & Sports Car Show. Entries are invited for Coys next auction is ‘True Greats’ on December 5th in London at The Royal Horticultural Society, Lindley Hall, Vincent Square Westminster, London SW1P 2PE. 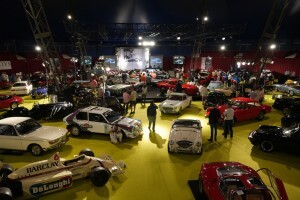 Coys had announced earlier in the month at the Mondial de L’Automobile – Paris Motor Show, which remains the most visited automobile show in the world with 1,066,439 visitors, that customers would be able to purchase a selection of historic cars via Vero, including the iconic DB5 which featured in their exhibition area at the international biennial event. 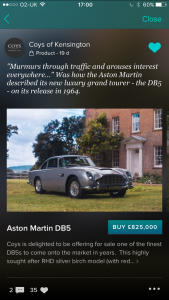 The buyer, who wished to remain anonymous, bought the DB5 with Apple Pay directly from the Coys profile on Vero (http://apple.co/2blrI6N) after seeing it at the show. Paris, France – 29 September 2016. 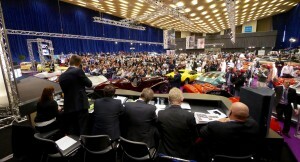 At the Paris Motor Show today the international auctioneers Coys announced that customers will be able to purchase a selection of rare historic cars via next-generation social network Vero. The international auctioneers have recently joined Vero – a social platform that enables people new ways of discovering more from friends, trusted brands and artists in an advertising-free environment. 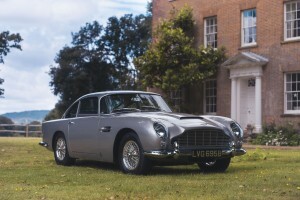 In addition to sharing content that won’t be available anywhere else, Coys will showcase four notable historic cars – including an Aston Martin DB5, a Ferrari 246 Dino GTS once owned by Peter Grant (manager of the legendary band Led Zeppelin), a Ferrari Daytona and a Bentley Continental S2 – all of which will be available for instant purchase directly from Coys’ Vero profile using the app’s innovative ‘Buy Now’ feature. 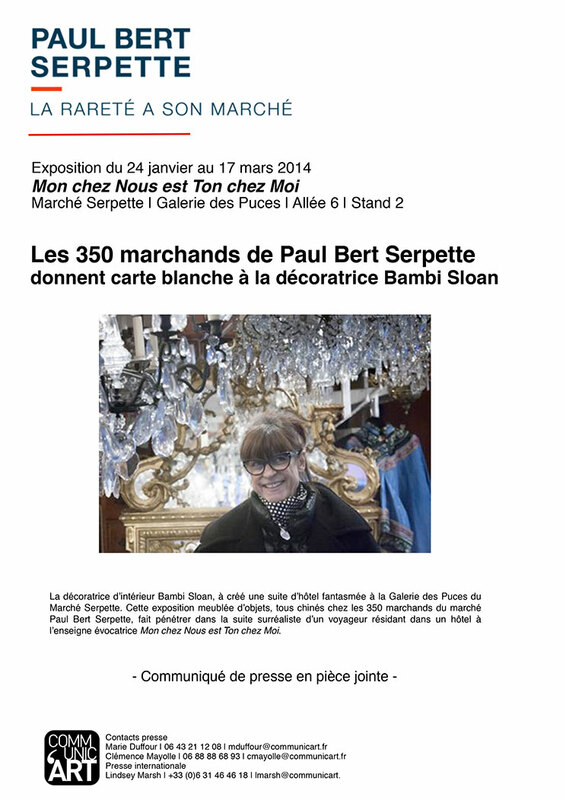 The international auction house is holding a major sale in association with their French auction partners Coutau-Bégarie. 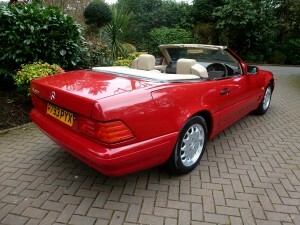 The then list price was £6,620.39 plus delivery charges, number plates and road tax. Additionally, the car was optioned with non-standard non-metallic paint at £63.16 and leather upholstery at £210.93. Today the car is estimated at £350,000 to £400,000. Sixty other classic and sports cars will be going under the hammer, including a 2010 Lamborghini Reventon Roadster estimated at £900,000 to, 1,000,000, a 1975 Iso Lele Sport estimated at £58,000 to £65,000 and a 1954 Aston Martin DB 2/4 Mark 1 estimated at £160,000 to £190,000. One of the features of the sale is the Ex-Paddy Hopkirk and Timo Makinen, Ex-BMC Works 1966 Mini Cooper S, which competed at the 1966 Alpine, RAC Rally, 1967 Swedish Rally, 1968 Circuit of Ireland and Scottish Rally. It is estimated at £100,000 to £150,000. 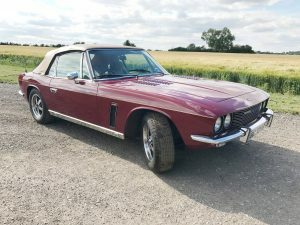 Other important lots include a 1968 Aston Martin DBS Vantage (£80,000 to £90,000), a 1961 Lotus Elite Series II (£58,000 to £68,000), a 1959 Jaguar 3.4l XK150 with only 39,900 miles from new (£60,000 to £70,000), a 1937 Fiat Topolino (£16,000 to £20,000), a 1936 Cord 810 Westchester (£35,000 to £40,000) and a 1963 Jaguar E-Type Semi-Lightweight Competition Roadster, which is the current FIA HTP Winner of the Battle of Britain Trophy, Silverstone Classic 2015 (£200,000 – £220,000). International auctioneers COYS present a spectacular line up for their inaugural auction at Schloss Dyck, in Germany, with over 80 classic and sports cars going under the hammer this Saturday 6th August. 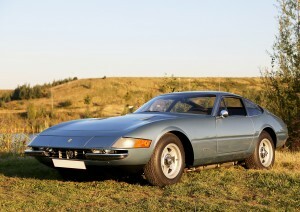 The new international auction in COYS calendar, to be held at what is now Germany’s most glamorous and well-respected historic motoring event, features a number of highly sought after collectors cars, including a 1972 Ferrari Daytona with only 500kms since a comprehensive restoration, a 1954 Porsche 356 Pre A Cabriolet once owned by the Swedish Royal Family and a 1942 Alfa Romeo 6C 2500 Super Sprint – Le Mans Berlinetta, which won Best in Show at SPA Italia 2015. The 1971 Ferrari Daytona was the subject of a substantial “nut and bolt” restoration between 2009 and 2014, covering every aspect of the car from the chassis up. Only the interior was deemed to be in excellent condition, and so was left to retain its wonderful patina. With approximately only 500 kilometres since restoration, this incredible example really is the best of the breed. It is estimated at €700,000 to €800,000. The stunning 356 Cabriolet was delivered new to the Swedish Royal family in 1954 and was meticulously looked after until it was acquired by a Spanish car collector. Before changing hands, the engine was upgraded to the favourable 1600 Porsche engine. 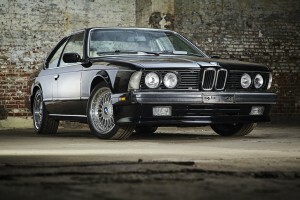 It was then sold to a German dealership in Stuttgart and underwent complete restoration. Today the car is in excellent condition. The cabriolet specification is without a doubt the most sought after variation of the 356 series, making it not only a joy to drive but also a solid investment. Estimated at €320,000 to €350,000. The Alfa Romeo 6C was one of only a handful of cars produced during 1942 to 1945 due to the obvious production constraints of wartime Italy. Production records indicate that this was in fact car No. 3 of the Tipo Supersport 6C 2500 models. The current touring style Le Mans Berlinetta coachwork was fitted during the early post-war years, and is inspired by the beautiful 1938 Le Mans touring Berlinetta, which competed in the 24hr classic before the outbreak of the war. it is a true exotic vehicle from the era of thoroughbred sports cars and one which would grace any collection. Estimated at €580,000 to €680,000. 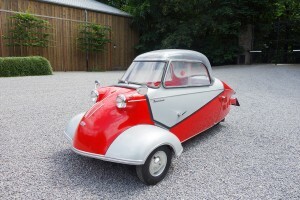 One of the rarities going under the hammer is a 1959 Messerschmitt KR 200 Cabin Scooter, which was the result of the company being banned in the post-war from producing aircrafts. Messerschmitt had turned its resources to producing other commodities and produced this sought-after, fun micro car, estimated at €33,000 to €38,000. The auction will also feature a 1934 Aston Martin 1 1/2 Litre Long Chassis Tourer (€190,000 – €220,000), a 1967 Mercedes-Benz 600 Pullman Limousine (€70,000 – €100,000), a 1963 Maserati 3500 GT Sebring Series II (€200,000 – €230,000) and a 1952 Mercedes-Benz 220 S Cabriolet A (€110,000 – €130,000). Other important lots include a 2006 Porsche Carrera GT (€550,000 – €625,000), a 1927 Lagonda 2.0 Litre High Chassis Tourer (€95,000 – €115,000), a 1973 Maserati Bora 4.9 – one of 275 4.9 litre cars, Maserati Classiche (€170,000 – €200,000), 1956 Alfa Romeo 1900C SS (€250,000 – €275,000). International auctioneers Coys are delighted to announce an exciting new auction to be held on Thursday 8th September 2016 in the heart of the Sussex Downs within the historic grounds of Fontwell House, just a few furlongs from the world-class Goodwood Revival meeting. The first week of September is set to be one of the most important weeks in the British classic motoring calendar, with a significant international Concours of Elegance at Windsor Castle, major auctions in London and Sussex, and what is considered the world’s greatest historic race meeting taking place at Goodwood on September 9-10-11. 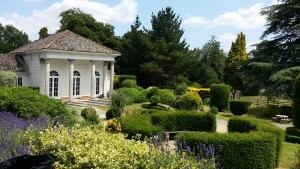 Only a few miles up the road from the action at Goodwood, the Coys ‘Thoroughbreds and Vintage at Fontwell’ auction will take place in the elegant gardens of Fontwell House, behind the traditional horse racing course. Chris Routledge, CEO of Coys, said: “Early September is very much the British equivalent of events taking place on the Monterey peninsula in August with a world-class concours, international auctions and fantastic historic racing at Goodwood; all running throughout the week and all held within the South East of England. The ‘Thoroughbreds and Vintage at Fontwell’ sale is the latest addition to Coys calendar of exciting new auctions in 2016-2017, including: Schloss Dyck in Germany (August 6th), Mondial de l’Automobile in Paris (October 8th), Coys at Alexandra Palace in London as exclusive auction partners of the Classic & Sports Car Show (October 29th) and Coys at Olympia in London (February 18th). All interested parties are invited to contact Coys to ensure they can take part in these series of auctions.